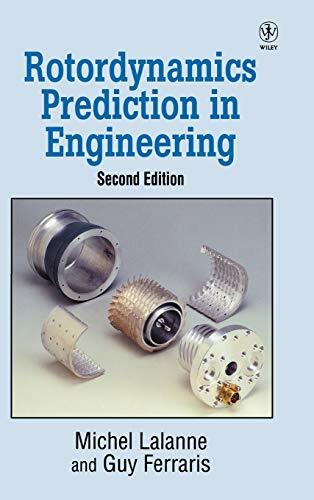 This book will be of great interest and value to students andengineers concerned with predictions in rotordynamics andmechanical engineering. A systematic and practical approach to the analytical and numerical aspects of the prediction of rotordynamics behavior. Opening with a presentation of the characteristics of rotor elements, the book goes on to consider simple models showing basic phenomena and introduces the use of finite element techniques. Michel Lalanne is the author of Rotordynamics Prediction in Engineering, 2nd Edition, published by Wiley. Guy Ferraris is the author of Rotordynamics Prediction in Engineering, 2nd Edition, published by Wiley. 4. Rotardynamics Prediction In Engineering 2nd ed.